Assessment strategies do not have to be complicated in order to inform both learning and teaching. Assessment strategies described in this article include student drawings, journal entries, lists, dramatizations, individual interviews, constructions, graphic organizers, and project documentation. I will be a new teacher and this was very helpful. I was able to get some good ideas for my teacher toolkit on how to use journals in the classroom and how to use assessments in the science classroom. What a great way to sum up different types of assessments. This article gives a lot of insight on all types of assessments. As teachers we focus on assessments as pre-assessment, formative assessment, and summative assessment. However, this author expanded on other strategies that we use in our daily teaching that can also be looked as an assessment. 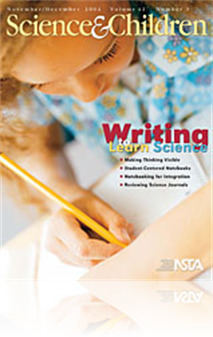 Such as journaling, allowing students to write as well as illustrate their thinking. I especially like the idea of assessing students by allowing them to react what they are learning. Giving students a chance to show what they are learning besides paper and pencil. This article is full of excellent ideas and examples of how to use assessments in classrooms to evaluate students learning. Beginning with ideas for assessing students' ideas before introducing a concept, the author then steps through several different evaluation methods and explains how each can be used to determine student understanding of concepts throughout the learning process. I found this to be an excellent article. Although I already use several of the assessment methods discussed, the author provides ideas for ways to use the methods in ways that I had not considered before. This article discusses three common types of assessment, preassessment, formative assessment, and summative assessment. It gives concrete examples for including formative assessment into daily instruction. Formative assessments can be used to identify misconceptions and to inform the teacher about the teaching and learning occurring in the classroom. Many of the formative assessments discussed, such as using drawings and graphic organizers, are useful when dealing with younger children of limited writing ability or with English Language Learners. Other examples include journaling, compare and contrast activities, dramatic representations, portfolios, and constructions. The variety of assessments included in this article will assist teachers with developing appropriate assessment tools for informing instruction and developing insight into student understanding. Generally there are three kinds of assessment – preassessment, formative assessment, and summative assessment. This author looks toward journals as a form of assessment. She says “The journal is also an ideal strategy for a retrospective assessment in which students reflect on what they gained from a learning experience.” She also points out various ways in which students can demonstrate understanding. There are six that she discusses and they include ideas such as dramatizations, interviews and more. While these are possible, aren’t they just examples of formative assessments? You can judge for yourself. We know that assessment is and should be ubiquitous in our teaching. Although assessment is sometimes tainted by improper use of standardized or high-stakes testing, we know we need to be using assessment for learning every day. This article emphasizes the important uses of assessment, for teaching and learning along with strategies that we can use every day in our classrooms. While some of the concepts are basic concepts taught in pre-service teacher training (pre-assessment, summative assessment, and formative assessment) and most of the ideas are not new, it serves as a good reminder of some of the ideas we should/could incorporate on a regular basis in teaching. The article reminds us that we can be using journals, drawings, comparison/contrast charts, and more to assess students understanding and inform our teaching.